As change sweeps through the legal industry, law firms have to keep up. They need to run their operations with optimum efficiency and effectiveness to maximize their fee-earning capacity and client satisfaction. Billing operations and financial operations are complex, but with a robust financial system in place, that complexity can be significantly reduced. Snap Billing for legal is designed with functionality to solve these challenges by delivering standardized processes and validation of financial recording that is predictable, efficient and straightforward. Snap Billing for legal manages critical aspects of your firm’s business and practice management operations: service to cash, financial management, procure to pay, and HR processes with an award-winning, intuitive user experience accessible on any device. Clients examine their bills carefully: they expect accuracy, timeliness, and transparency. The billing process needs to fulfill these criteria, outlining the exact time spent on each matter by partners, associates, paralegals, and support staff. Financial management can become problematic if data is not recorded accurately or acted on promptly. Snap Billing for legal streamlines and automates business operations across the organization, providing real-time visibility of the WIP management process for workflow monitoring and ease of draft bill editing and creation. Snap Billing for legal delivers control over firm-wide financial operations, including the controlling, and asset management functions – by supporting critical business processes and by enabling the demands of complex compliance regulations to be met efficiently. 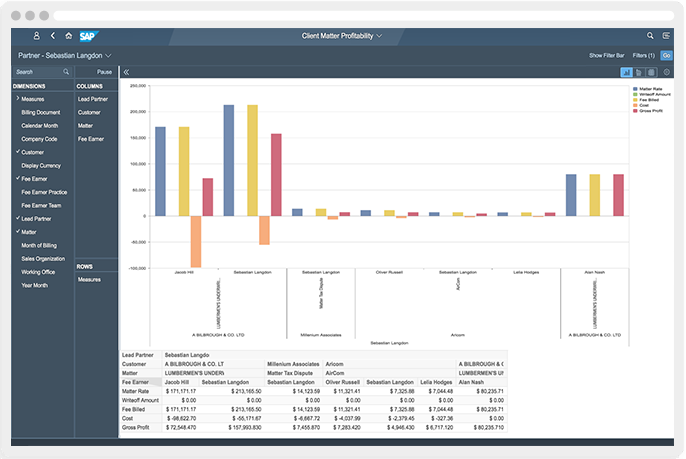 It provides management with instant financial insights into key operational metrics allowing for immediate action to be taken. The net result is one set of integrated processes for a single, consolidated version of financial truth across all geographies and in every currency of the firm – all in real time. Snap Billing for legal manages the entire procure to pay process – from procurement of goods or services initiated by Contracts, Purchase Requisitions or Purchase Orders, and Invoice and Payment Processing to fully embedded three-way and two-way matching, ensuring complete accuracy. 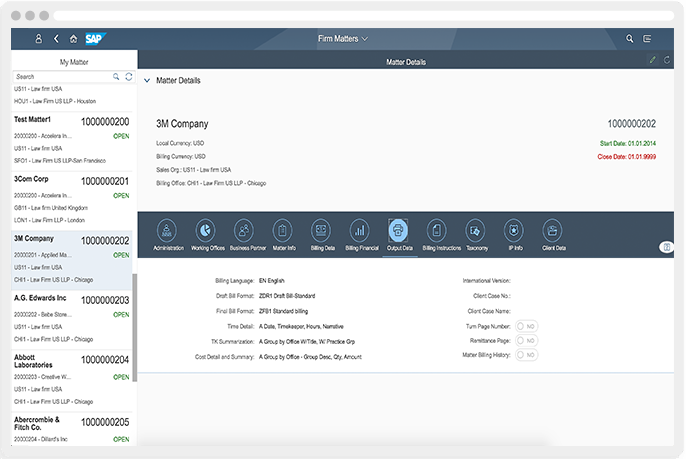 As part of a complete, digital platform, vendor management has never been easier. Manage on a global or local scale and measure vendor performance and usage through defined reporting and notifications while payments are automatically processed electronically or routed for manual processing as needed. The most valuable asset in professional services is talent. 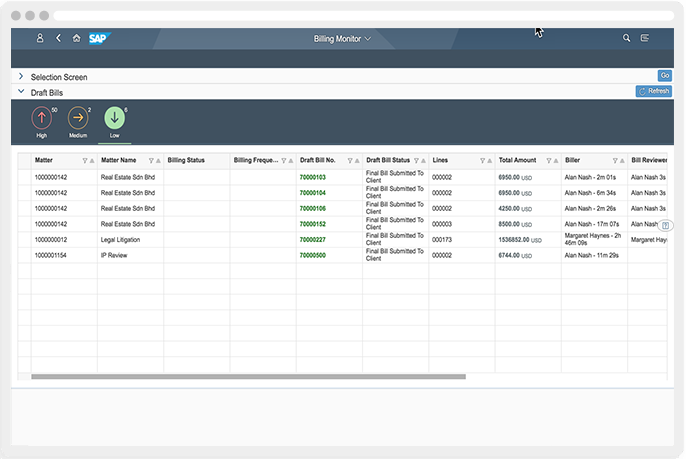 Snap Billing for legal includes an HR Mini-Master built natively into the billing and financial system. This allows not only for the management of the Timekeeper master data, which enables the billing and financial processes but also for full transparency and data cleanliness – from E-Recruitment & Onboarding and Employee & Timekeeper Administration to Benefits Administration and Payroll Processing. By moving to a future-ready enterprise-grade solution, firms can expect to operate as a best-run business. These improvements and much more come with Fulcrum’s next-generation platform.